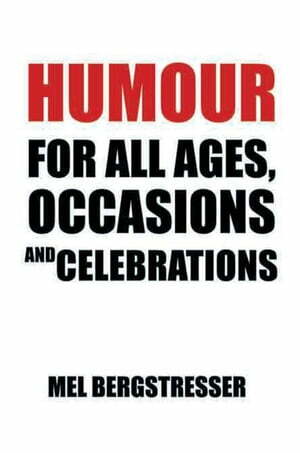 Collins Booksellers - Humour for All Ages, Occasions and Celebrations by Mel Bergstresser, 9781483646053. Buy this book online. Have you ever been in a situation where you searched for some humor or wanted to share something humorous with someone and couldnt think of anything or didnt have any humorous sources handy? I have been in this situation many, many times when I wanted to share some personal humor and suitable joke or some interesting story for use as a Master of Ceremonies, so I decided to develop a collection of not only humor but also puns, interesting stories etc., covering 36 subjects that could be used for almost every occasion possible. Enjoy the last of the funny, weird, but good clean jokes, puns and interesting stories!